Sometimes, new cars aren’t exactly what an owner needs or can afford. While gas and maintenance prices rise, older cars, already “broken in,” help drivers more than they think. 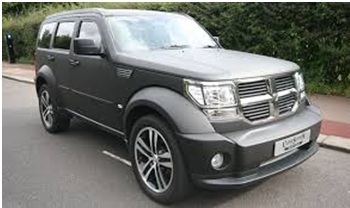 One such car that has been all but forgotten is the 2010 Dodge Nitro. We came across the Nitro at a nearby used car lot – the Ken Garff Used Car dealership. While there have been quite a few small SUVs that have come onto the market, and then off, the Nitro stood out to us among rows of other vehicles, with its chiseled looks and upright position. The Nitro has room for five passengers. It has a standard 3.7L V6 engine with a four-speed automatic transmission and an available 4.0L V6 with a five speed automatic. To keep families on the road, the power of the Nitro keeps safety at the forefront. Safety features for the Nitro include 4-wheel antilock braking system, traction and stability control, and tire pressure-monitoring system. Also coming standard are various types of airbags including a driver airbag, passenger, side head and rear head side air bags. There are also available child safety locks. The assurance of a safe drive is one of the reasons families considered the Dodge Nitro when it was new. It has a five star driver and passenger crash grade, as well as side impact crash test in front and rear. The Nitro also needs to have superb road visibility with standard fog lights, electro chromic rear view mirror, intermittent and variable intermittent wipers, and optional daytime running lights. There will never be a reason that the road can’t be as clear as possible, even with a used Nitro. The outdoors will be completely available to owners and their passengers at all times. Other safety features include rear parking aid and hands-free wireless coming standard. Security features include an alarm and anti-theft system. A family will never have to worry about the extensive reliability of the Nitro in all conditions. The 2010 Dodge Nitro has so many strengths that some prospective owners have overlooked. With a strong and aggressive design, functional and ideal interior cargo space, a lifetime power train warranty, and high safety ratings, the Nitro will turn hears all over again. Families don’t need a new car to be up to date on safety and security while taking on the world around them.